Dr. Bhawna Gupta is a young anaesthetist dedicated to her field of anaesthesia and intensive care for more than 4 years. 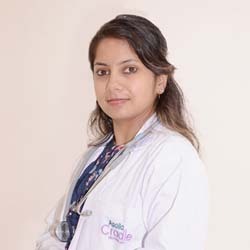 She completed her MBBS from GMC Chandigarh in 2008 and did MD Anaesthesia from DMC Ludhiana in 2012. She has keen interest in Pain Management. I was under the care of Dr Bhawna for my delivery. She is highly skilled and helpful. During my stay, I found the team to be extremely authentic and prompt. The nurses are kind and supportive, the administration is well run. The rooms are clean and supplied with all amenities. The meals are healthy and nutritious as well. Great service by Apollo Cradle as always!